PART 1 of this series focused on the songwriting team of John Lennon and Paul McCartney. In subsequent entries, I will be focusing on two legendary songwriters who wrote on their own. PART 2 will focus on Ray Davies of the Kinks. 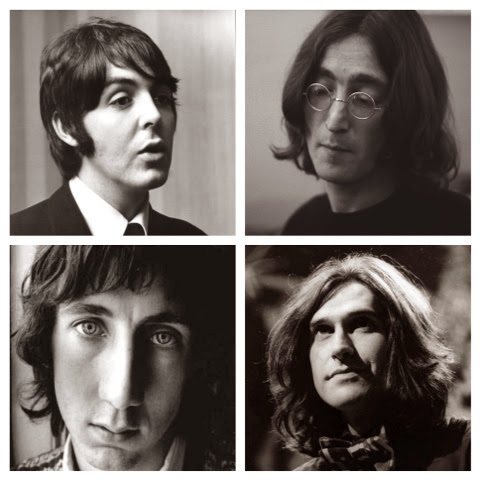 Among the bands to emerge from England in the 1960s, the four best were without question The Beatles, The Rolling Stones, The Who, and The Kinks. However, of this group, the Kinks have always been the band slightly set apart from the rest. Although they were and continue to be critically acclaimed and are now considered one of the most influential groups of all time, their initial chart topping and commercially successful albums and singles came to a screeching halt by 1970 in their native UK; at the same time, their popularity underwent a renaissance in the USA. While they faded into the obscurity of cult band status in their home country by the mid-1970s, they simultaneously had a second life in the USA, becoming megastar arena rockers well into the mid-1980s and they remained popular in America until their split in 1996. Over the course of their entire career, however, the one thing that remained constant was the presence of the Davies brothers, Ray and Dave, and the creative direction which was guided by the brilliant songwriting of Ray. Known for his quirky, humorous and wry observational lyrics as well as his exquisitely constructed songs that draw on influences ranging from blues, R&B, rock, jazz, music hall, country and just about every other style imaginable, Ray is rightly hailed as one of the best songwriters of the 20th century. 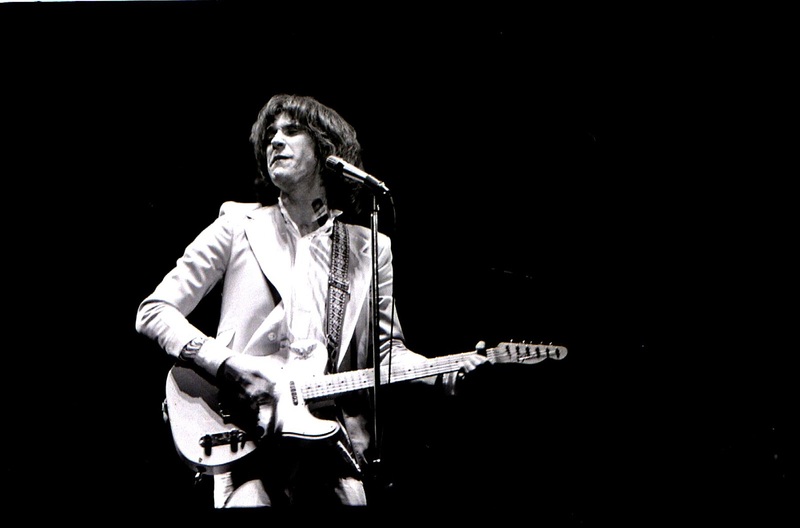 Ray Davies was born in Muswell Hill, London in 1944 as the seventh child and first son of his parents; brother Dave followed three years later. They grew up in a very close-knit family, doted on by their older sisters and taking part in the weekly music parties their parents threw every weekend. The entire family, sisters and their boyfriends/husbands, nephews, nieces, cousins, would all cram in the front room of the Davies house to sing, dance, drink, play piano, and listen to records. These gatherings had a profound effect on the Davies boys and both would look back on them fondly in later years. It was in this same front room that they would write some of the earliest Kinks songs before moving out once they became famous. However, whereas Dave was extroverted, fun loving, and friendly, Ray was almost the polar opposite: moody, withdrawn, and emotionally unsettled. However, it was this introspection and homebody personality that in many ways informed the best of his songwriting. More strikingly, while in real life he was a mercurial, introspective, and restless creative type, onstage he was a flamboyant extrovert and master showman. He could also be very calculating and manipulative toward his brother, bandmates, managers, promoters, and others who he worked with. He is certainly a fascinating and complicated man and I would direct anyone who wants to learn more about him to read his two autobiographies, X-Ray and Americana. The Davies brothers formed the Kinks with their school friend Pete Quaife in 1961 and by early 1964 when they added drummer Mick Avory, their classic lineup was completed. A string of chart topping hit singles and albums followed, written almost entirely by Ray Davies. However, by the end of 1967 the band were at a crossroads...having been banned from performing in the USA by the musicians union under mysterious circumstances after their 1965 US tour, they missed out on some prime years to build their career there, while in England they started a slow commercial decline; the nadir was when they were forced into a package tour of UK cabarets and gentlemen's clubs in early 1968. Even seminal and landmark albums like 1968's Village Green Preservation Society and 1969's Arthur, or the Decline and Fall of the British Empire couldn't reverse the trend. Apart from hit singles "Lola" and "Apeman" in 1970" and "Come Dancing" in 1983, they all but vanished in the UK, while at the same time their relentless touring after the American ban was lifted in 1969 led to them becoming one of the biggest concert and recording acts of the 1970s and 1980s in the US. Throughout it all, however, Ray was incredibly prolific, churning out quality singles and albums written in the midst of the usual chaos that surrounded the Kinks, the numerous lineup changes the band underwent throughout their career, and the various personal traumas, both emotional and physical, that he went through. Ray was certainly no stranger to writing about topical matters, communicating with his audience about current happenings of importance just as many of his peers did. However, the unique thing about Ray's approach is in the way he did it, using a very observational style of lyric writing that relied on wry humor, wit, sarcasm, and social comment in a manner that was sometimes cutting and aggressive, but suggested much more. When humor wasn't required, Ray's brilliance lay in his ability to write about things both mundane or complicated in a simple and direct manner that was also able to touch something deep inside the emotions of the listener and resonate in a very profound way. He is well known for writing in an almost nostalgic manner about a world in the midst of rapid change that no longer exists; he was doing this at the same time that most of his peers were extolling the "in with the new and out with the old" ethos of the 1960s counterculture. While other bands preached revolution and the tearing down of old ways, Ray yearned for the England of pre- and post-WWII and the traditions and values they represented. One need only listen to the albums mentioned above, or 1967's Something Else by the Kinks to hear it. Songs like "Autumn Almanac," "Afternoon Tea," and "Waterloo Sunset" have a deep, pastoral longing for the return of the past and an anxious clinging to the shriveling remnants of these traditions at present. His writing reached its apex in this vein with the Village Green Preservation Society and Arthur albums at the end of the 1960s and the two Preservation albums in the mid-1970s. While out of step with the change that the wider rock music scene was going on and on about at the time, Ray's songs still resonated with listeners the world over and these albums continue to be cited as the masterpieces they are. At the same time, he was able to chronicle topical and contemporary events throughout the band's career in a way that was informative, funny, and thought provoking. Whether this was his absolute dismantling of the music industry on the 1970 album Lola vs. Powerman and the Moneygoround Part 1, social comment on Swinging London in hit singles like "Dandy" and "Dedicated Follower of Fashion," rampant globalization in "Holiday in Waikiki," the social commentary of "Sunny Afternoon" and "Dead End Street," or his assessment of the horrific economic climate of the late 1970s on almost the entire Low Budget album (which is just as relevant today), Ray managed to say what he wanted to say in a manner that was instantly accessible and more often than not, was sung with his trademark lopsided smirk. 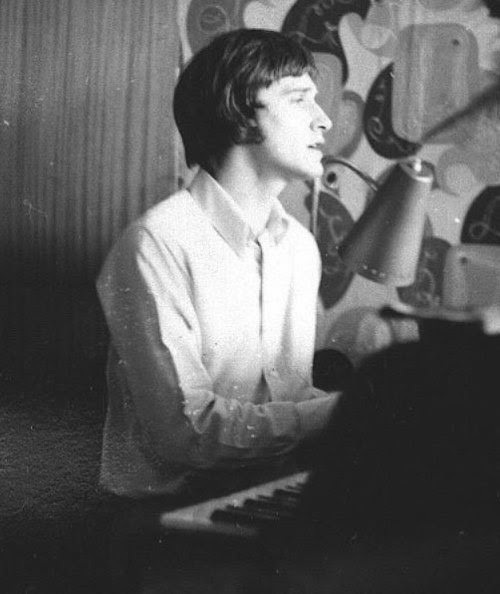 Beyond that, however, he was and still is a gifted lyricist who is able to be direct and touch on emotions within the listener that cause his songs to resonate beyond merely what the words say...Ray Davies lyrics make you feel but they also make you think. One of my favorite Kinks songs resonated with me so much that I even dedicated an entire in-depth post to it. His lyrical gifts are thankfully coupled to a melodic gift that rivals that of Lennon and McCartney. Beyond the inventive riffs and catchy hooks of "You Really Got Me," "All Day and All of the Night," "Lola," "Come Dancing," and more, songs like "See My Friends," "Sweet Lady Genevieve," "Waterloo Sunset," "Celluloid Heroes," and "Tired of Waiting For You" are amongst some of the most beautiful melodies ever crafted in popular music. 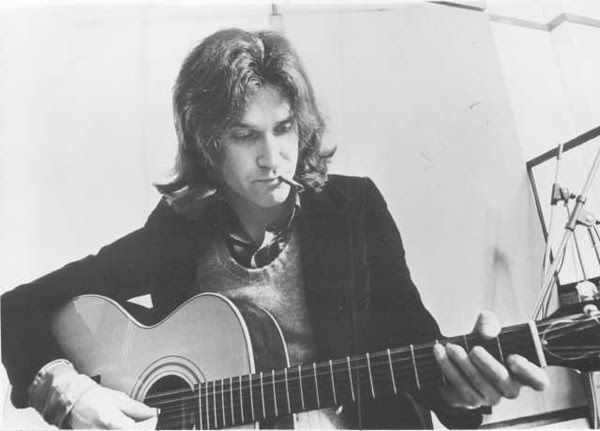 Whether he was writing carefully crafted pop singles, album tracks, or sweeping concept albums, Ray Davies always had something to say with his songs. Often funny, sometimes melancholy, happy or angry, cutting and sarcastic or loving and pleading, his direct and meaningful lyrics were married to instantly catchy, recognizable, and memorable musical backdrops that were and continue to be some of the most respected and popular songs of 20th century rock music. More than that, the songs continue to endure and inspire into the present. Just as his band were always slightly askew of the mainstream, Ray's songs have that slight bit of an edge to them that makes him unique amongst his peers. Along with the other writers I'm profiling in this series, his songs were among those that made me want to write songs and they've helped me immensely both personally and emotionally throughout the various phases of my life. I still have a distinct memory of sitting in my dorm room during my first year of college playing my guitar along to the Arthur album blaring out of my stereo, later using many of the chord changes and song structures Ray used as inspiration for some of the songs I was writing. I continue to use his songs as a musical touchstone for my own writing. Likewise, he showed me that lyrics can say deep and meaningful things and still have a sense of humor about them. Ray and the Kinks were always conscious of being outsiders and holding a unique place in the musical world, which is something I and countless others can relate to from the teenage years all the way through adulthood. As one of his best songs from the 1960s says, he's "not like everybody else," and we're all the better because of it. CLICK HERE for PART 3 on Pete Townshend! Thanks for the compliments! And I completely agree with you, Ray is unique among writers, especially of his generation, where he doesn't bludgeon you with social comment but presents it in a way that still makes you think about it. Also, while there are numerous examples of his beautiful wordplay (Autumn Almanac instantly springs to mind), he's so adept at using simple and direct language that still reaches deep inside you and stirs thoughts and emotions that other writers, with all of their florid prose, can't do. It's very gratifying to see the Kinks starting to FINALLY get more mainstream praise and recognition amongst the casual fans in the same way the Beatles, Who, Led Zeppelin, Stones, etc do...especially gratifying for those of us who have gotten it all along! Very nicely done. But any Mt. Rushmore of songwriters should also include Alan Hull, a very underrated songwriter/social satirist much like Ray but with far less recognition. Who's he? I'm not familiar with him or his work. I consider "Some Mother's Son" as one of the best songs about war ever. I rarely listen to it because it's so poignant and true. Yes, that's a great one. As you said, very poignant and sad. He wrote it from the perspective of a WWI parent (the setting for the album) but it works in any context. The mark of a truly brilliant songwriter. I recently got told by a classmate at school that my music is weird but I wouldn't change for the world and I wish others would appreciate the 60's too. I absolutely admire Ray, Paul, John and Pete and I am hopefully going to go see the musical 'Sunny Afternoon' which is based on the Kinks, their music and their story. I am so excited!! Awesome! Don't worry what other people think, you like what you like and that's just fine :). Let me know how you like Sunny Afternoon. I've heard nothing but good things about it...wish it would come for some shows here in the US!